Aja jooksul oleme kasvanud kasumliku sotsiaalse ettevõtteni, samas on meie põhieesmärk alati jäänud ühiskondlikuks. Palkame ainult koolitajaid, kes on ise olnud väitlejad ja pakume ainult väitlusteemalisi koolitusi. See annab meile võimaluse järgida ühtset filosoofiat kõigis pakutavates koolitustes - suheldes „meie“ keeles ja pakkudes koolitusi ainult valdkondades, mida tunneme unepealt. We know, that debating skills can be turned into a successful business. For proof, one has to look no further than the rapidly expanding Anglo-Dutch training company Debatrix. We also know, that running a sustainable social enterprise is much more difficult than managing a regular company, because you need to manage to a double, if not a triple bottom line rather than just counting pecuniary profits. 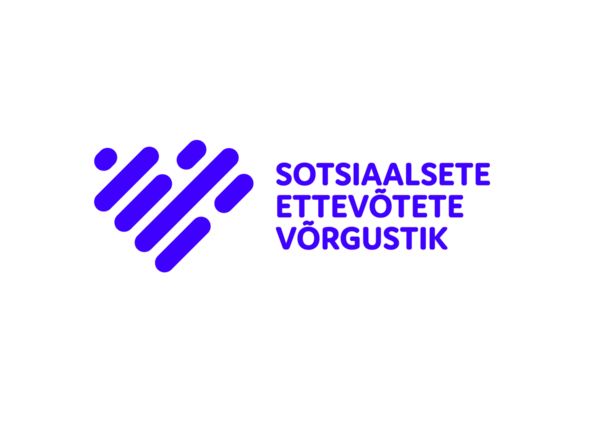 The question we’ve posed ourselves in Estonian Debating Society (EDS), however, is a combined one - can you merge a debate NGO and a for-profit debate training company into a smoothly functioning, sustainable social enterprise? In EDS we believe that strong arguments are the basis of open social dialogue. In order to weave that belief deep into the fabric of Estonian society, we first of all need to teach debating skills and values to young people on all levels of education. This ensures, that successive new generations believe in the value of debate because they have seen and felt it in school. However, most people are not enrolled in a school or university. In order for debating to take root any time soon, they too must be reached. Unfortunately, there is little if any grant-based funding available for that target group. Hence, debate must be made attractive enough, so that they would pay for their own debate education. That’s the job for our training company - to be a for-profit operation with a social cause of spreading our mission. We market debate as a way of developing analytical thinking and argumentation, structured listening, verbalizing your thoughts and presenting them in public. We tell our clients about our mission, values and methods and then ask them - do you believe what we believe? Making the sale is much easier after a common ground has been established. EDS social training company started in 2006, offering tailor-made trainings to a few private and public sector clients in order to be a practice ground for our alumni. Over time, we’ve shifted to being a proper company that has to turn a profit, but we’re never going to shift away from putting our mission first. For that, we hire only debaters as our trainers and offer only debate-related trainings. This allows us to follow the same philosophy through our trainings, communicate in “our” language and offer trainings only in the fields we know by heart - argumentation, debate, public speaking, moderating, facilitating, negotiation. Another part of not compromising on our values is a clear agreement, that we will never sell our services to a tobacco company or an arms producer. The goal is to be the first choice in Estonia for clients looking for training in debate-related areas. To achieve that we are packaging debate in many different ways: group trainings, public courses, individual instruction and are now working on setting up paid online courses. We also cater and market to a wide variety of target groups: lawyers, youth workers, politicians, civil servants, teachers, school psychologists, faculty members, student councils, debate club administrators, trainers, mid-level managers, NGO managers etc. The biggest challenge has been to make our clients understand that a social enterprise is not a charity, even though we’re registered as an NGO - a lot of work and know-how goes into these trainings and the invoice is going to reflect that, especially for custom orders. To bring the costs down for more price-sensitive clients, we’ve added open courses (e.g. "Debate club instructors training" or “Public speaking and debate skills for NGO managers”) to our services. An open course is publicly announced and everyone can register as opposed to the custom trainings ordered by specific companies. An added benefit is, that people from many different organisation participate, thus furthering our mission and spreading the word of EDS services. Our next challenge is to break through to universities. We are making progress with Tallinn University, who has opened up their further education program for teachers of Estonian language and literature to us. We will be offering a one-day training on using debate in the classroom. Also, there are ongoing negotiations with Tartu University and Tallinn Technical University to offer debate and public speaking courses to faculty members to improve their lectures. All of these trainings will be paid for by the universities. It is our dream, that one day every company will offer debate trainings to it’s staff, that it’s will be possible for every faculty member to join a debate course, every civil servant to join an argumentation course and every teacher to learn how to teach and use debate in a classroom. Mahatma Gandhi once said, that it is difficult, but not impossible, to conduct strictly honest business. We hope to prove him right one day. It looks promising so far. Give your thoughts a chance!